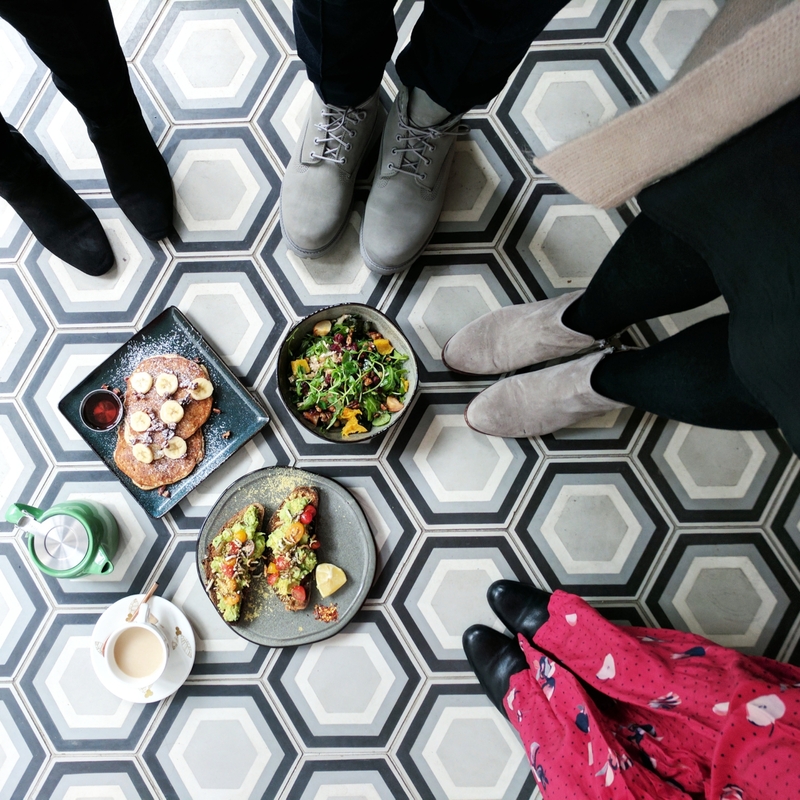 On Sunday I went to Planta for brunch with a bunch of my instagram friends. 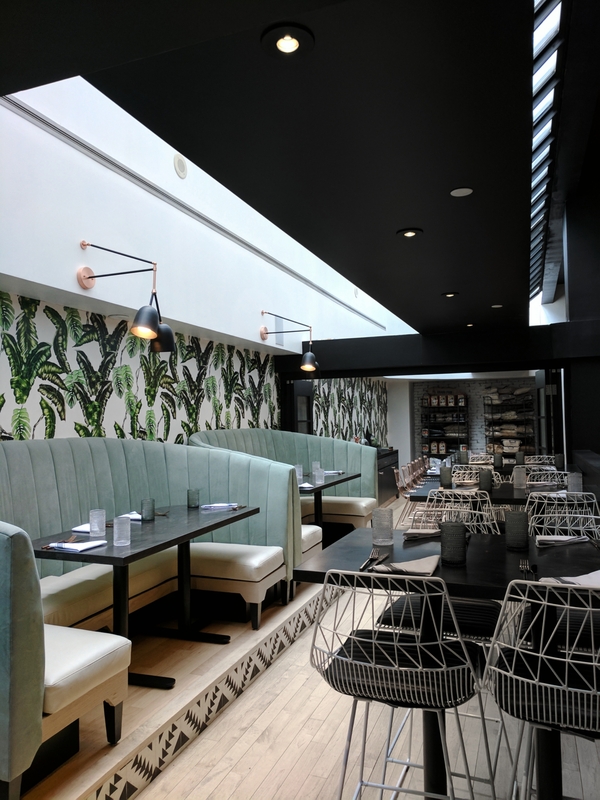 In case you don’t know what Planta is, it is a newly opened plant-based restaurant in Yorkville (Yonge and Bay). 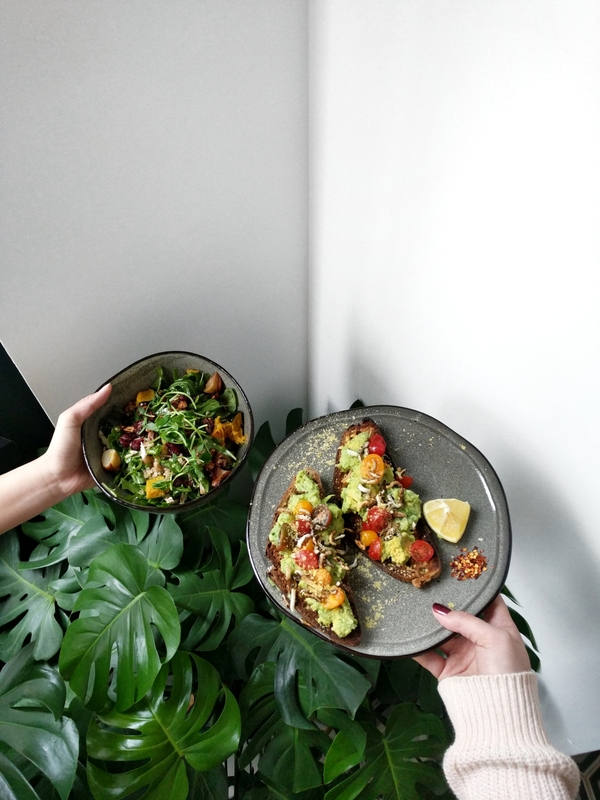 Basically, they are a vegan restaurant that focuses on creating inspiring dishes without the use of any animal products. 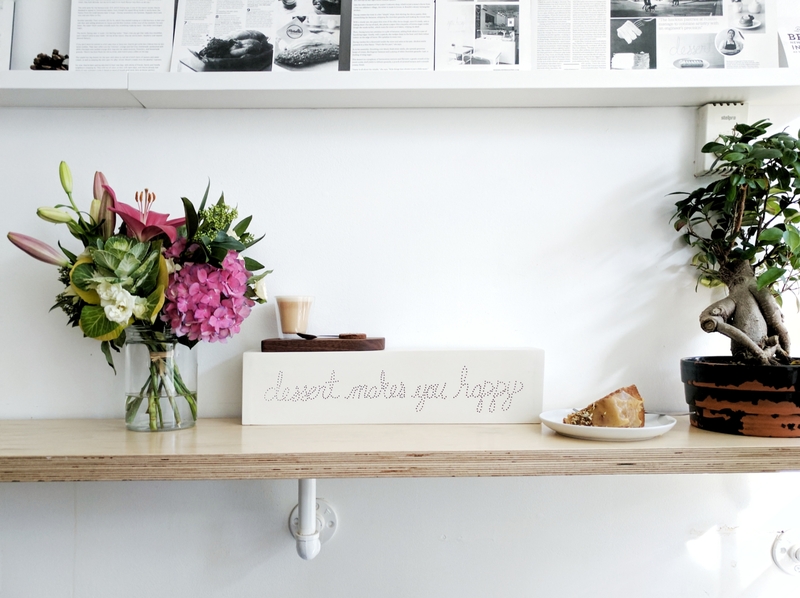 Let’s first start off by admiring the beautiful decor. Swings, rose gold flamingos, and plants galore! Seriously, such a stunning space with pockets of natural light for you to chase in order to get some instaworthy pictures. I managed to get some empty shots of the restaurant right when it opened at 10:30am before it started to fill up with people. 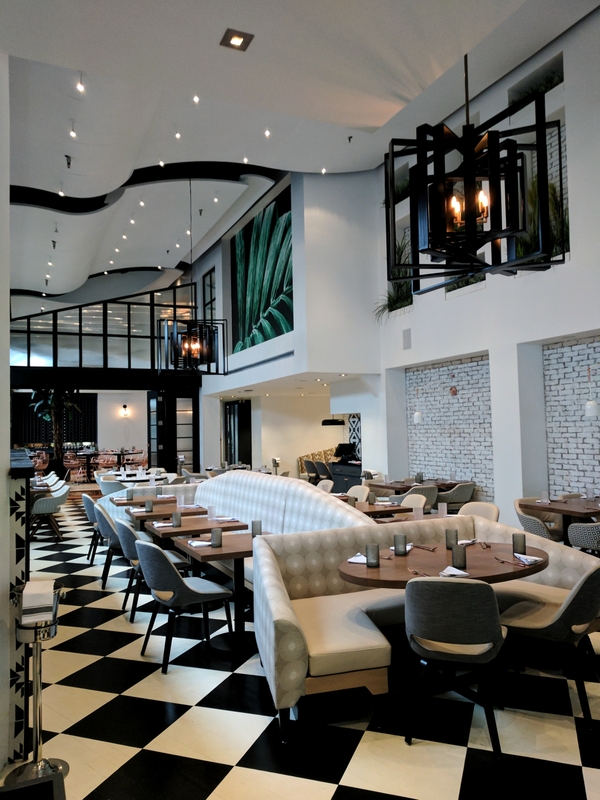 There is ample seating in the restaurant, and I hear they host events too. I wouldn’t mind having a little shindig here. Like I mentioned, the restaurant is pretty specious and is perfect for larger groups. 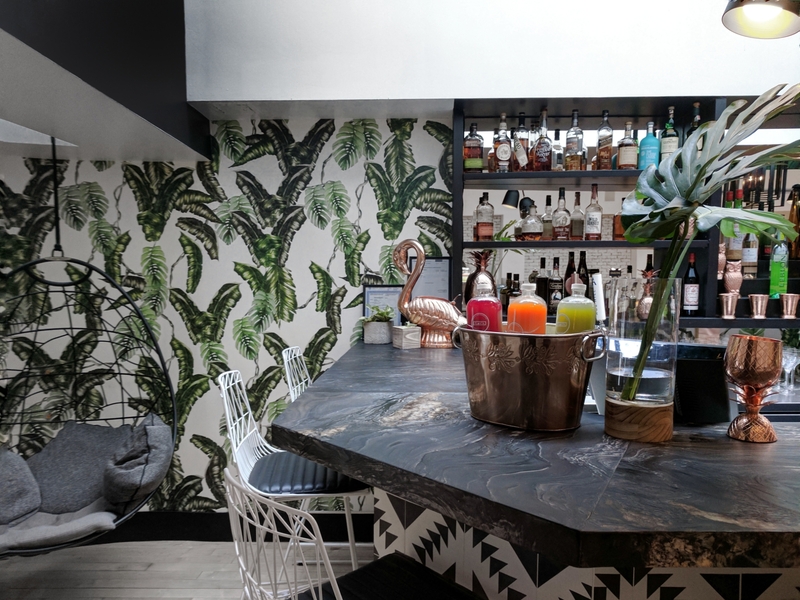 Sometimes brunch places are tough for groups because they tend to be small but this is definitely not a problem at Planta! 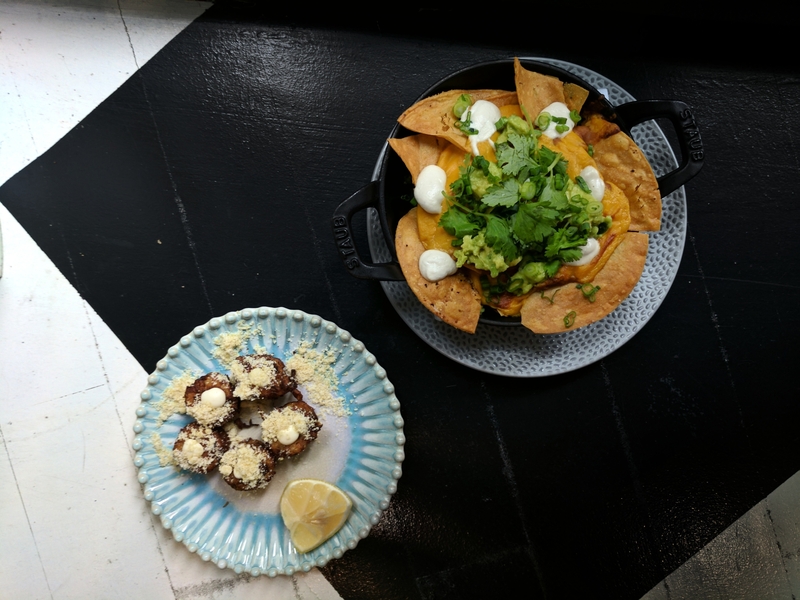 Moving on to food, pictured below we have the cauliflower tots with truffled parmesan ($9.75) and nachos with fire pit beans, queso, avocado, and crema ($12.75). I kid you not, these were probably some of the better nachos I’ve had in the city. Even though they are vegan, they are full of flavour and each chip had a generous coat of toppings. I hate when the topping to chip ratio is off but there were no problems here. Tots, A+. Next up, avocado toast on rye bread with olive oil, lemon, and puffed wild rice ($12.25) and their Harvest Salad which had brown rice, caramelized squash, chickpeas, roasted pears, cranberries, napa cabbage, and pecans, with balsamic dressing ($17.00). I have to say, I did have a bit of trouble with the avocado toast. The rye bread was super toasted and was a little tough to munch on. The flavours were nice though, with a generous amount of creamy avocado, and tomatoes that burst in your mouth. The Harvest Salad was really good and I loved the squash the most. Next, I want to mention the banana pancakes ($13.25) which were also really good. I normally don’t order sweet brunches but I’m glad I got to try these. They were nice and fluffy (as pancakes should be) and who can say no to maple syrup and pecans? Not me. 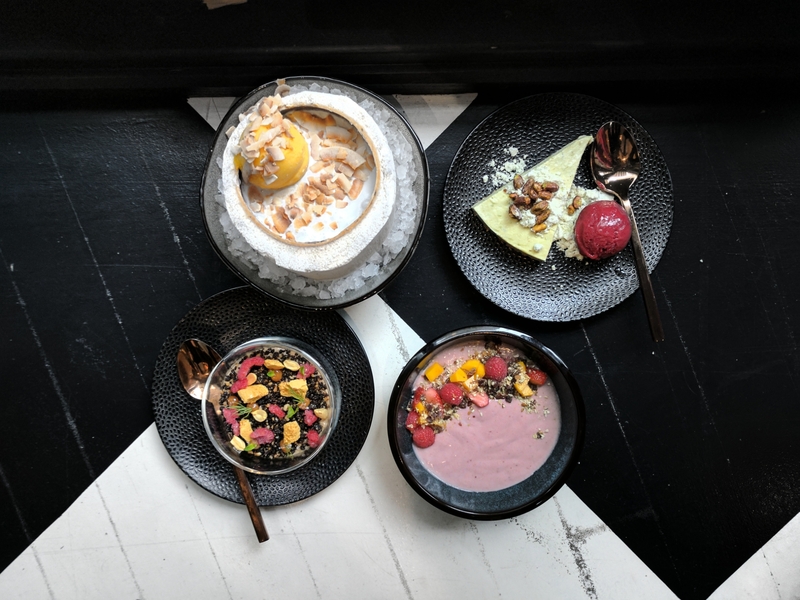 Finally, we had 4 different desserts which consisted of a coconut jelly and passionfruit sorbet served in a coconut, avocado lime cheesecake with raspberry sorbet, a chocolate terrarium, and a smoothie bowl. 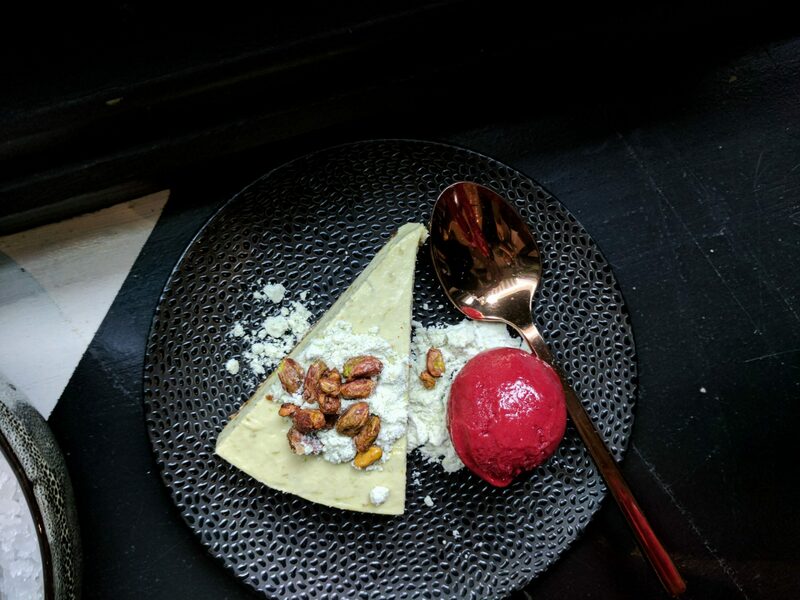 My favourite was definitely the coconut dessert which was nice and refreshing with a great crunch because of the coconut chips sprinkled (generously) on top. My other friends seemed to enjoy the smoothie bowl and chocolate terrarium so I suppose it all depends on what you like. 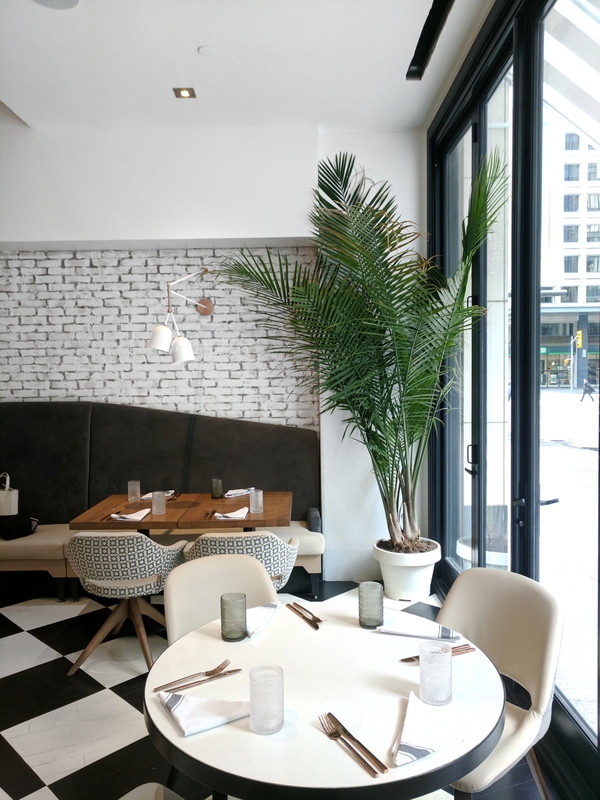 You can read Isabelle’s review of Planta Toronto which goes more in-depth. Overall, I had a great experience at Planta. 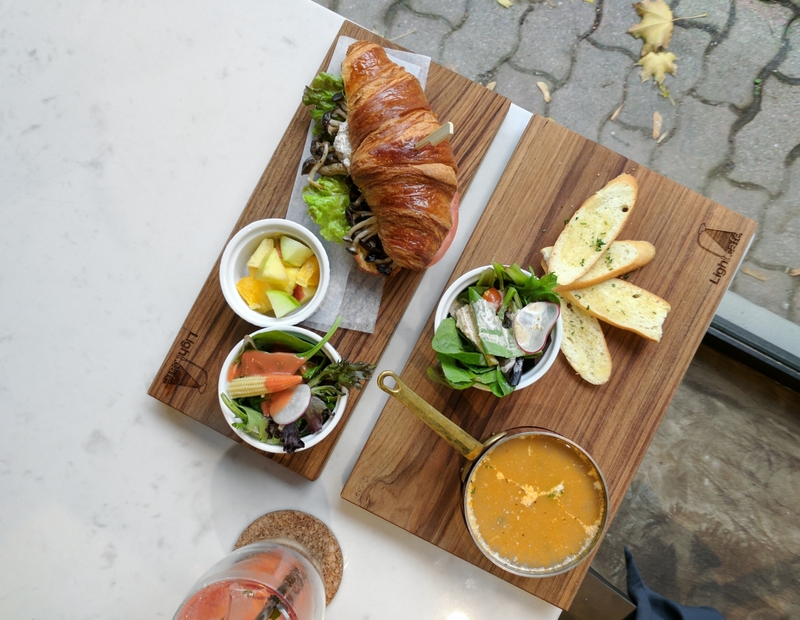 It is a great spot for brunch even if you are not a vegan. The dishes are packed with so much flavour that you won’t even miss having eggs or meat. (Okay, maybe a little bit of the eggs).